UPDATES GALORE! Charming 4 Bed, 2 Bath Home!!! 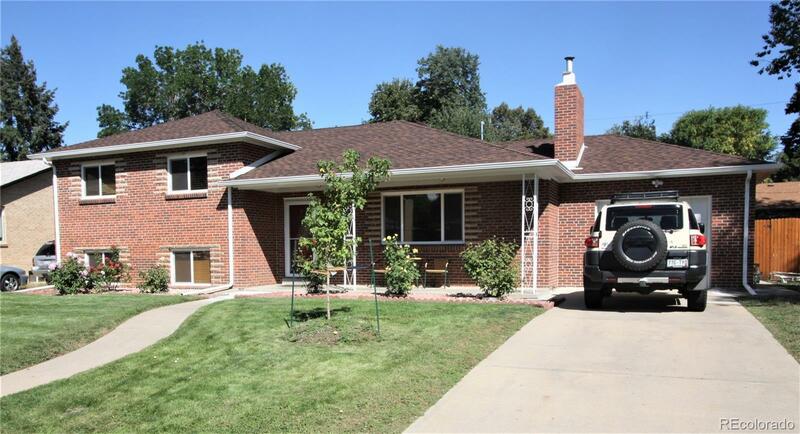 You'll want to call this beautifully remodeled property "HOME!" Remodeled in 2017 - Kitchen offers New cabinets, counter tops, flooring, fixtures & appliances! Refinished Original Hardwood Floors! Spacious Sun Room is 'bonus' space for entertaining, dining & relaxing! New Decorative front door with tile entrance welcomes residents and guest to the spacious Main Living area w/fireplace, new laminate flooring & 1955 charm of coved ceilings! The adjoining Dining room is ideal for entertaining! Super floor plan - 3 upper Bedrooms- Freshly Painted w/remodeled Bath! Lower level includes Spacious Family Room, 4th Bedroom, Newly Remodeled Tile Bath, Laundry Room w/Outdoor access! Central Air, NEW Shingles 6/2018, well manicured yard, Includes new tree! New 2018 Privacy fence! New 2018 Windows! HURRY this is truly a Charming Home!